Tummy Time Prop & Play is rated 4.8 out of 5 by 25. Rated 5 out of 5 by JacquiRN from Perfect for tummy time! This was purchased as a gift for my friend who's first child struggles with tummy time. And I'm happy to say she has had a much easier time this go around. She tells me that her daughter seems much more comfortable and relaxed during tummy time! Rated 5 out of 5 by bfamily5 from Bright and colorful WE LOVE THIS MAT! Got it for a gift for my niece and she loves this! She loves to look at herself in the mirror. 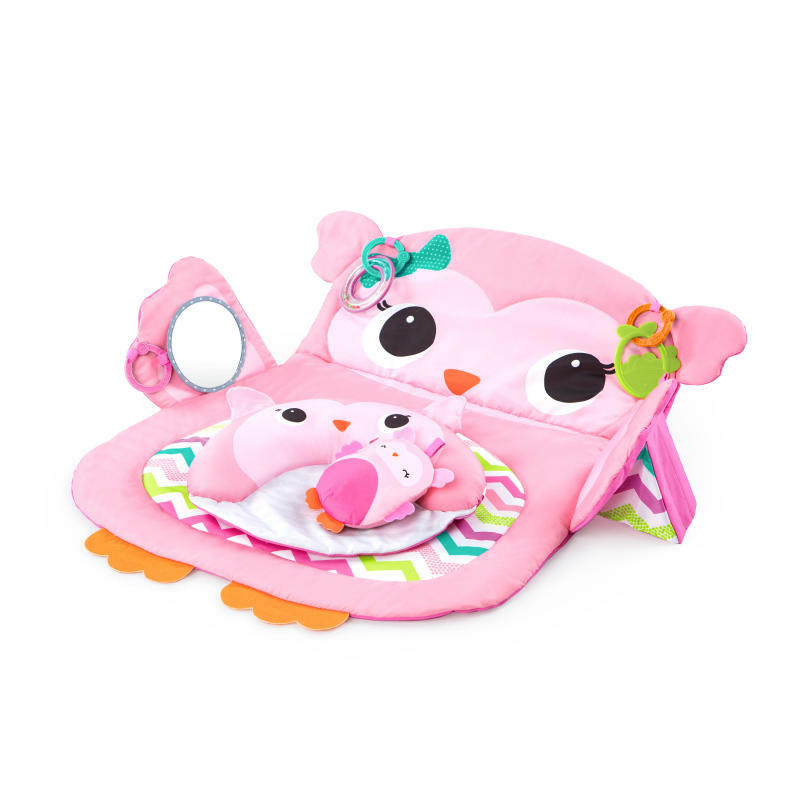 Great for tummy time!! Rated 5 out of 5 by Aly144 from Great basic item! I received this in exchange for an honest review. Tummy time is one thing a lot of little ones hate. With its bright colors, basic attention grabbing toys, and the prop pillow, this is a great option to help make tummy time easier. Rated 5 out of 5 by mfraz from So sweet!!! This precious mat keeps my child occupied and stimulated. Love the features and how soft it is, too! My child can kick around on this mat and be perfectly content and comfortable. Rated 5 out of 5 by bambammommy from Grab and Go I received this a month ago and I love using it for my lil baby. It is a great pack and go item especially if you are not sure how clean the area may be. Even after the baby starts crawling, I am thinking I will use it for decoration near the changing table. Very light. Rated 5 out of 5 by KrysTBee from She loves it! My daughter doesn't use this for tummy time but she does use it to lounge back in and watch TV. Very comfy! Rated 5 out of 5 by RWC15 from Soft! Super cute. Soft. Love the prop up feature too that is easy to use.